It's summertime in Stermont! And it's...SNOWING?! In this seventh book, it's summertime in Stermont! Alexander, Rip, and Nikki are at summer camp up in the Gloamy Mountains. And it is REALLY hot! But suddenly, it starts snowing - and with the snow comes the snombies! 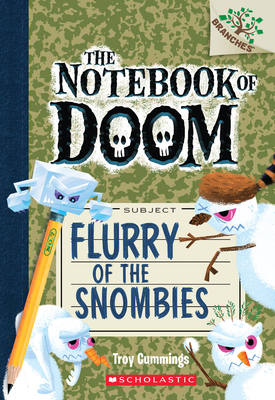 Snombies are snow monsters that can build armies of themselves! Will the S.S.M.P. be able to stop their coolest monster yet? Praise for THE EENSY WEENSY SPIDER FREAKS OUT!